When you need new windows or doors, you need an experienced company that will design materials for your specific home, not just try to fit construction-grade products where they don’t belong. At Renewal by Andersen® of Philadelphia, we have extensive experience in the installation of superior quality doors and replacement windows in Camden NJ. Our crews have been factory trained by Renewal by Andersen®, giving them an expertise that is unmatched by other Camden area window companies. 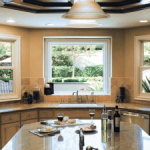 Thanks to that factory training, our design team is able to work with our crews to create windows that can either fit your existing home décor or create a whole new look for your home. Our ability to adapt to each individual homeowners needs is just one of the qualities of our company that has gained us a high rating by the Better Business Bureau. And when it comes to window replacement in Camden, our expertise is unparalleled. Our handcrafted patio doors offer a number of benefits to New Jersey homeowners, including energy efficiency and weatherability. And when it comes to beauty, no one beats Renewal® patio doors’ elegant design. Our windows are the only windows available that are created form Fibrex® material. This advanced polymer is more durable and efficient than any vinyl material. Each of the products we install is backed by an industry-leading warranty thanks to our backing by Renewal by Andersen®. 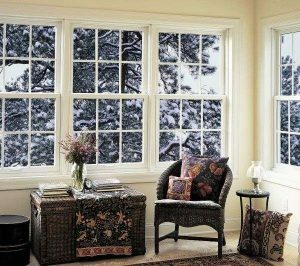 When you want to improve your home, choose the leading name for replacement windows in Camden NJ- Renewal by Andersen® of Philadelphia. Call us today at 610-563-2190 to schedule a free no obligation consultation.